In what ways does breastfeeding influence a mother’s psychology and mental health? Exclusive breastfeeding protects mothers’ mental health. It lowers her stress levels, helps her get more and better sleep, lowers her anxiety and anger/irritability. It also lowers her inflammation (part of the stress response). This is important because inflammation is the underlying physiological mechanism to depression. On the other hand, breastfeeding problems can increase her risk of depression. What signs could the family of a mentally ill mother see and understand that she needs help? That she is not enjoying things that she used to enjoy, that she seems sad a lot of the time or feels hopeless. She may have no energy and feels listless a lot of the time. Or she may be really angry and irritable a lot of the time. Everyone has times when they feel like this some of the time. It’s more worrisome when mothers feel like this most of the time or when these symptoms persist more than a couple of weeks. How could family and friends help a nursing mother with postpartum depression or other mental illness? Offer to help with housework or looking after other children. Support her in breastfeeding. Many others will suggest she wean or give the baby a bottle, so she can «take a break.» Offer to come over so she can take a nap. And just listen to her without judging her. New mothers often feel very vulnerable to judgment (this is also an effect of oxytocin). Your non-judgmental listening will be very important in her recovery. If a breastfeeding mother is mentally ill, should she wean her baby in order to get the appropriate treatment? No. All treatments for depression are compatible with breastfeeding. There is only one class of antidepressant (MAOIs) that mothers cannot take while breastfeeding. And there are many non-drug treatments for depression that are as effective as medications (such as exercise). Where can she find information and help? I only know of the resources available in English. For this topic, I’d recommend looking at my Praeclarus Press.com site. We have a lot of free handouts on various treatments for depression (under the White Papers tab). I also have some links and articles under Challenges on the BreastfeedingMadeSimple.com site. If a mother has weaned or never nursed her baby and has very strong negative feelings about it, would relactation help? Possibly. It certainly be worth a try. My only hesitancy is in how long she waited. It might be difficult to establish lactation if she waited too long. If she can only partially breastfeed, she may not get the physiological protection of exclusive breastfeeding. But she will probably feel more positively about herself as a mother and that will help. What’s new in mother-infant sleep, that parents need to know? : I’d say one of the main things that we found is that there were surprising negative effects of bedsharing for mothers if they were not exclusively breastfeeding. These mothers were more angry and irritable, more anxious, more depressed, and got less sleep–even when compared to the non-exclusively breastfeeding mothers whose babies were in a crib in a different room. Researchers, such as James McKenna, have stated that non-exclusively breastfeeding mothers should not bedshare because it’s not safe for babies. We found that it also tends to be less beneficial for the mothers. Could you share with us a breastfeeding story of a mentally ill mother that surprized you positively? One thing that I’ve found is that breastfeeding is important to many mothers who are depressed, and almost everyone in their lives is telling them to quit, or at least supplement. One story I quote a lot is Brooke Shields’ story from her book about her experience with postpartum depression, Down Came the Rain. She described how in the midst of her depression how everyone was telling her to wean. Even her husband was saying that to her. They weren’t trying to be mean. They really thought that it would help. What Brooke said was that breastfeeding was her emotional connection to her daughter and that it was the only hope she had of coming through this nightmare. «I was holding on to breastfeeding like my lifeline.» If a mother is depressed and breastfeeding, your support will mean a lot to her. Chances are everyone else is telling her to stop. Dr. Kendall-Tackett is a health psychologist and International Board Certified Lactation Consultant, and the Owner and Editor-in-Chief of Praeclarus Press, a small press specializing in women’s health. Dr. Kendall-Tackett is Editor-in-Chief of two peer-reviewed journals: Clinical Lactation and Psychological Trauma. She is Fellow of the American Psychological Association in Health and Trauma Psychology, Past President of the APA Division of Trauma Psychology, and a member of the APA’s Board for the Advancement of Psychology in the Public Interest. 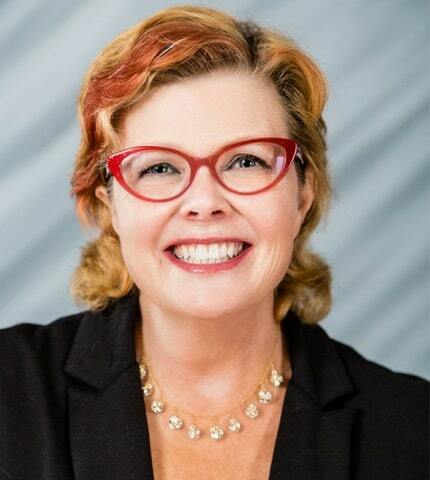 Dr. Kendall-Tackett specializes in women’s-health research including breastfeeding, depression, trauma, and health psychology, and has won many awards for her work including the 2017 President’s Award for Outstanding Service to the Field of Trauma Psychology from the American Psychological Association’s Division of Trauma Psychology. Dr. Kendall-Tackett has authored more than 420 articles or chapters, and is author or editor of 35 books. Her most recent books include: Depression in New Mothers, 3rd Edition (2017, Routledge UK), Women’s Mental Health Across the Lifespan (2017, Routledge US, with Lesia Ruglass), The Phantom of the Opera: A Social History of the World’s Most Popular Musical (2018, Praeclarus), Psychology of Trauma 101 (2015, Springer, with Lesia Ruglass) and The Science of Mother-Infant Sleep (2014, Praeclarus, with Wendy Middlemiss).